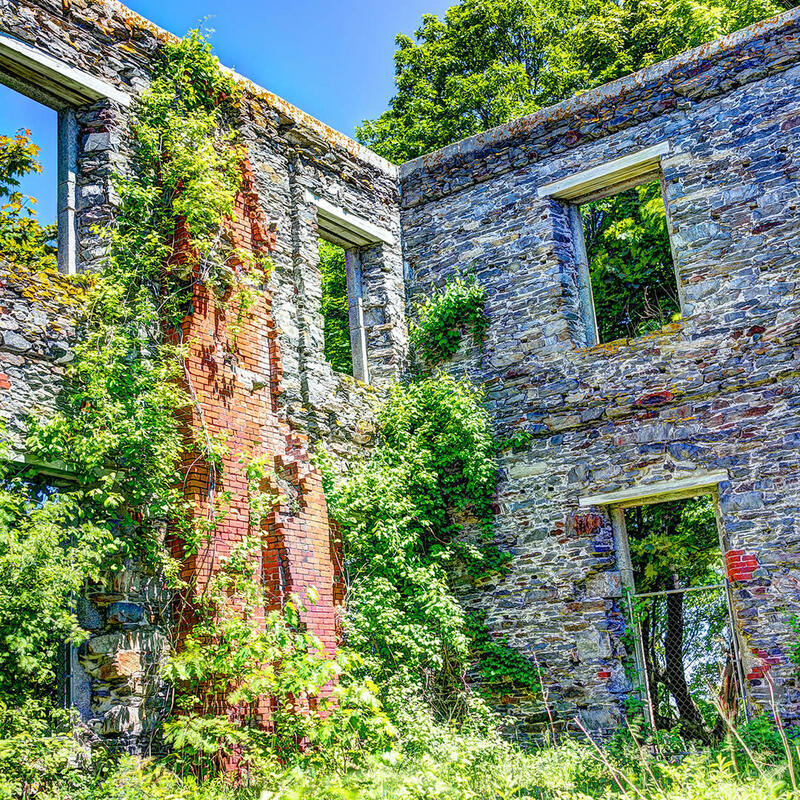 If a ruin could ever be described as grand, it would be the Goddard Mansion. Built in the 1850s, the mansion was used as a military post in 1900 and slowly deteriorated thereafter. In 1980 the interior was destroyed in a controlled burn but the golden stones of the structure still stand. Visitors have to view the house from a distance - no entry is permitted but you can walk the grounds. About 500 feet east you'll hit the Battery Keyes where two Rapid Fire guns were once mounted. Here you'll also get a superb view of the water at Ship Cove.